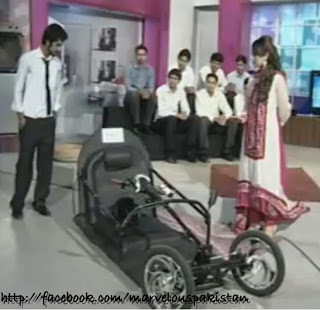 Air-X is a group of students from Air University, Islamabad, Pakistan, designed an electric prototype car named as Air-X Proto, which is going to participate in Shell ECO marathon 2011 Malaysia in July 2011. Team Air-X consists of 8 members which includes Uzair, Rehan, Sheharyar, Zafran, Yasir, Naeem and their Supervisor Mohammad Usman Rafiq. Team Air-X originates from Department of Mechatronics Engineering, Air University, Islamabad, Pakistan. The team members are final year students of B. E. Mechatronics Engineering and the team supervisor is a Lecturer in faculty of Mechatronics Engineering. 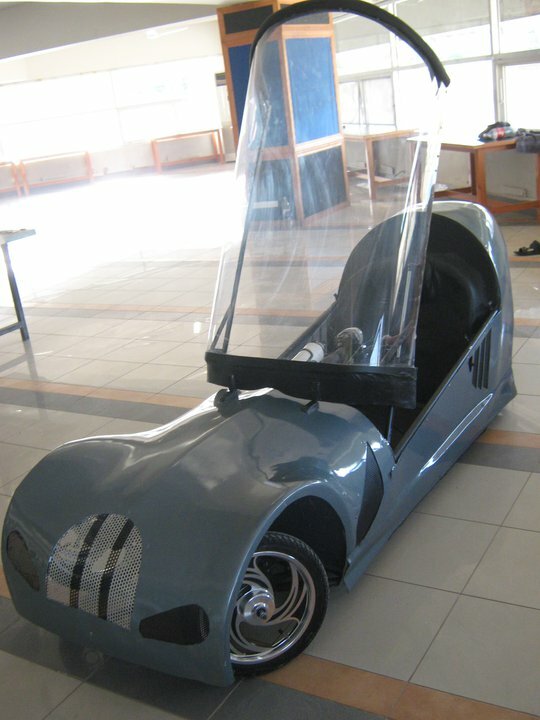 CAR is manufactured by using one of the lightest and cheapest materials available at this time in market to reduce the weight and increase efficiency. Battery of 36 V which draws current of 20 Ah. 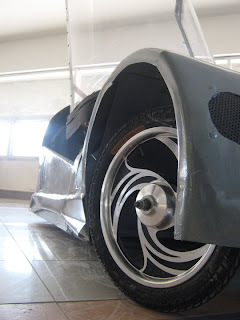 Mileage per unit of electricity is 150 Kms without brakes it can cross 200 kms. Car seating capacity is of 1 person. 1 unit of electricity can be charged in 2 hours, 1 unit is equal to 1000watts, and it costs approx Rs 6 per unit. Battery doesn't gets discharge by itself. The Battery used, are not locally available. 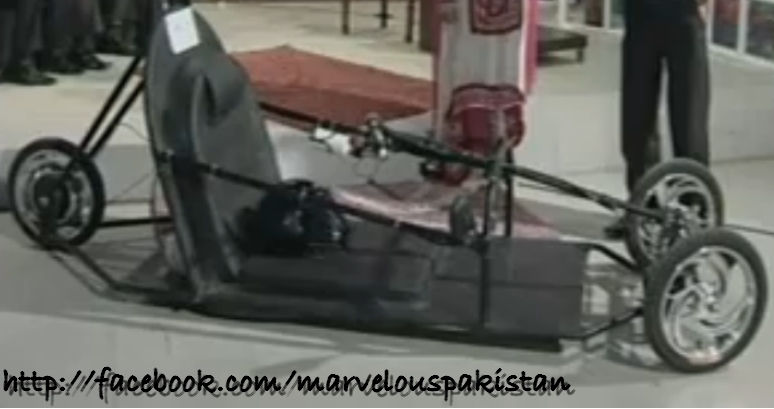 Total Manufacturing cost of this vehicle is Rupees 2 lac 80 Thousand (Rs. 280,000). This car can’t be used on roads at this time, because it’s a Prototype and it is designed for F1 tracks only. This is the initial version of this vehicle and it can be more enhanced. For this purpose they need Sponsors. Air-X team can be contacted on their website http://www.airxtech.com/. We wish Air-X team all the best for Shell ECO marathon 2011, and make Pakistan Proud.